Student agency is changing the way children learn – enhancing local curricula and parent and student voice. It has particular relevance to individualising learning for children with additional needs. 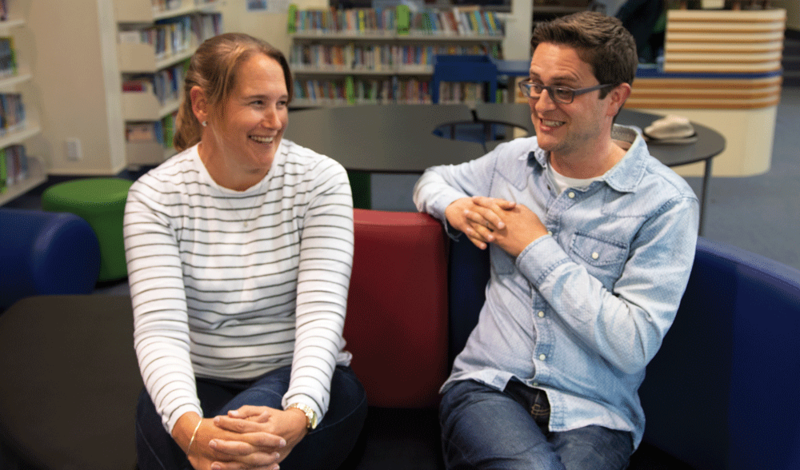 At Raroa Normal Intermediate in Wellington’s northern suburbs, teachers have embraced the concept of student agency. In a flexible learning area that is the central hub of the technology classrooms, students are working, usually in pairs or small groups. Some are designing or researching on computers, two girls are making flowers out of wire and fabric, others are painting or hard at work with glue guns as part of their design project. Students are moving in and out of rooms connected to the “learning street”, depending on the need or specialist teacher required. In the food technology room, two girls are carving up a pastry dessert, a group of boys is doing a pile of dishes, cupcakes are cooling on a bench, and a teacher is in a corner with a handful of students working through their ideas. Next door is a room that they haven’t managed to name because it’s so much more than just hard materials. Following the theme from TV show Design Junkies, one group is upcycling an old ottoman and figuring out how many strips of wood will be needed to run around the circumference. Another pair is sanding a retro toolbox they bought on Trade Me and others are turning an old planter box into a kennel for a small dog. 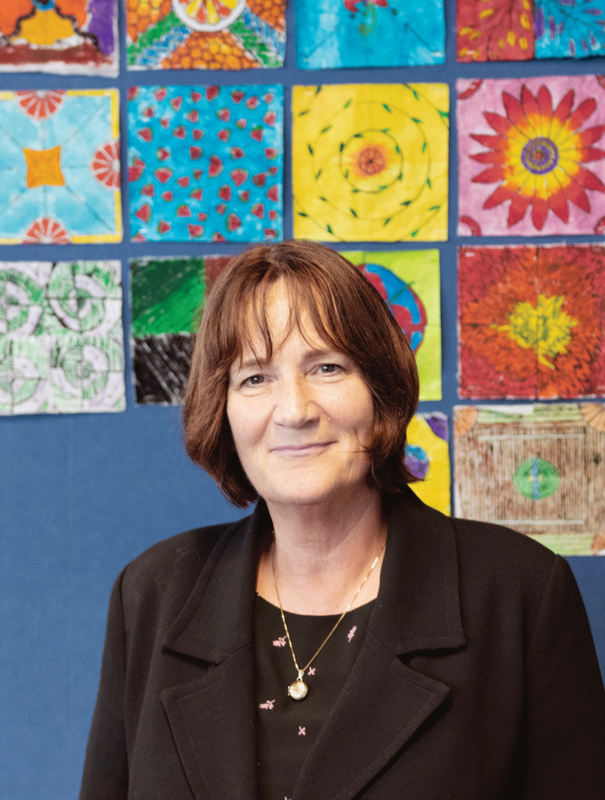 Principal Christine Brown says the journey towards greater student agency began in 2013 with a theory-based approach to redesigning the school curriculum. This included the technology area – now called Design Production Education (DPE). Deputy Principal Stephen Eames says they wanted to give the students opportunities to work within their strengths and passions, or have an element of choice, so that they had “buy in”. Eames likes the concept of ideas shaping the rooms, rather than the rooms shaping the ideas. Eames believes that students need time to develop the skills to manage their own learning to enable high levels of agency and thrive in modern learning environments. Because there is such a strong focus on collaboration and communication, ESOL students and others with additional learning needs receive extra support to help them achieve and develop agency in a way that is appropriate to their individual needs. Team teaching and flexible classroom spaces where teachers can adapt to suit the needs of students are features of the school. It’s a commonly voiced concern that such environments could become chaotic and that children may easily get distracted or lost in the crowd, particularly for those with additional learning needs. However, Brown says what they’ve found is that a number of teachers end up knowing each student really well, which the leadership team from Onslow College had quickly picked up on at a recent meeting. “One of them was saying when they come over and interview the teachers, they were just so impressed at how well the teachers know the students. So if a teacher was away, another one in that team is working closely, so can sit there and talk about them. “They have to have really good processes for monitoring the students, and evaluating their progress. But it’s a whole team of them doing it together, or it’s a pair of them doing it together, and they can all support them on this journey of agency,” says Brown. Teacher Melissa Julian says modern learning environments can work, but teachers just need to think about how it’s going to affect children who need extra support. Teacher Melissa Julian says modern learning environments can work, but teachers just need to think about how it’s going to affect children who need extra support, and put things in place that make the students feel they have some control over what they’re doing. “Especially at the start of the year, you’re pretty much alongside, showing the process. That independence may not be there, but slowly over time, as they get used to that routine, you sort of edge yourself out. “I always know that if something new is about to start, you have to start back with that checking in,” she says. Julian believes increased agency and working in small groups can work well for children with additional learning needs and it also teaches other children to be inclusive of others, not just their friends. Teacher Lynne Dunn runs a weekly support group for about 20 students who have been diagnosed with dyslexia. The students receive academic, social and emotional support and she introduces new tools and strategies they might want to try. A key purpose of the group is to make the students feel good about their strengths and know that they can achieve. “When they’re in a group situation, they know it’s great for them to volunteer in the areas of their skills. Not all people in the group necessarily know they have a learning difference, because it’s up to the students who they share with. Teachers also receive professional development training and are open to student requests such as giving reading material ahead of time, using digital copies instead of hard copies or having a maths test read to a student. “I know that they like being able to do what the rest of the class is doing, and to do it well, and the adjustments they make, or the staff member makes, lets them be able to finish whatever it is they’re working on, or take a part, rather than not be doing what everyone else is doing, and be seen to be failing. “With adjustments, they can still be doing the same learning, it might just be in a different way. Or maybe with a different timeframe. But they feel like they belong. And that’s where celebrating their strengths is huge, because that’s a way that definitely makes them feel that [sense of] belonging,” says Dunn. Students go on to college so much more confident in their abilities, because they’re taught to see dyslexia as a gift rather than an impediment. Brown says those students go on to college so much more confident in their abilities, because they’re taught to see dyslexia as a gift rather than an impediment. College staff have commented on the positive difference they’ve seen in the students coming through in the five years the programme has been running. Thirteen-year-old twins Hannah and Jess Stark were diagnosed with dyslexia when they were six and also have dyscalculia. Hannah says that at first she thought having dyslexia was “not really the best thing”, but being in the support group has changed her outlook. “Putting it into a different way and learning there’s lots of strengths really helps,” she says. Jess says that being in a support group helps them see that they’re not alone. Jess says being in charge of their own learning means they can be really passionate about something and implement it, “make it into something that you’re really proud of”. Jess worked with teacher Chris Johnston on designing the school yearbook. He says they went through a process of learning how to use Illustrator, InDesign and other Creative Cloud apps. “Dyslexia didn’t hold her back – it made her particularly good at doing that because of her spatial awareness and creative flair,” he says. Johnston says the classroom can look chaotic on first entering because so much individualised learning is going on. “We trust them with a larger degree of independence, which they in turn respect and show that they can manage. I’m more of a facilitator in the room,” he says. “Outsiders often remark that the kids seem more independent or they seem older than kids in their school at the same age. I think that’s the mark of independence that they have. They are passionate about things and able to work in the area of their interests, so they’re able to be engaged for longer. It’s less of the teacher trying to wrangle students, more about us working together. “Not every child is at the same place. You meet the child where they are and you look for that thing that is just beyond their reach,” he says. Giving every student a “cookie cutter” worksheet and telling them they all have to do the same thing would set up some students to fail. Deputy Principal Stephen Eames says that in the Design Production Education programme there are certain “toolsets” that all students need to have that will increase their ability to have agency and apply it. “For instance in the cooking room, they need to understand how to measure, they need to know how to use that equipment,” he says. The cooking room is an example of the diversity of agency that students bring. With the popularity of Masterchef and My Food Bag, teachers are finding that many students are already way past the basics when they start intermediate. With the popularity of Masterchef and My Food Bag, teachers are finding that many students are already way past the [cooking] basics when they start intermediate. As the year goes on and expectations and foundational skills are established, increased understanding leads to increased choice. “They start to specifically match toolsets to what they’re doing. When they need it they’ll get it, rather than just in case they need it. So it’s applied. Eames says that with adolescent learners there’s often a correlation between what they’re passionate about, and a personal connection with the teacher who is delivering that genre. 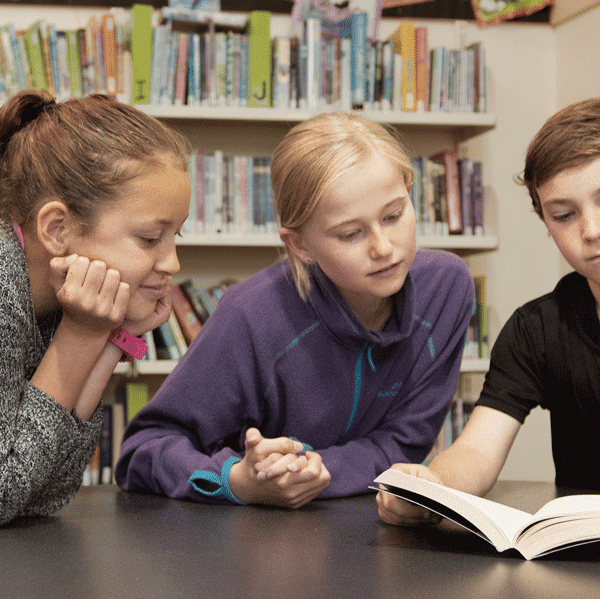 Student motivation, behaviour and progress have shot up since Hampden Street School in Nelson introduced greater student agency. With new modern learning environments, the open classrooms prompted the school leadership to look at different ways of doing things. Principal Don McLean says teaching is now about students driving their own learning. McLean says that for an autistic child, who tends to see their world in a very focused way, being able to drive their own learning is actually a “no-brainer”. Teacher Noel McClements says they’re preparing children for an unknown future. One thing that can be counted on is the need to be able to drive your own learning, work to your strengths and collaborate with others – key pillars of student agency. And the kids get it. 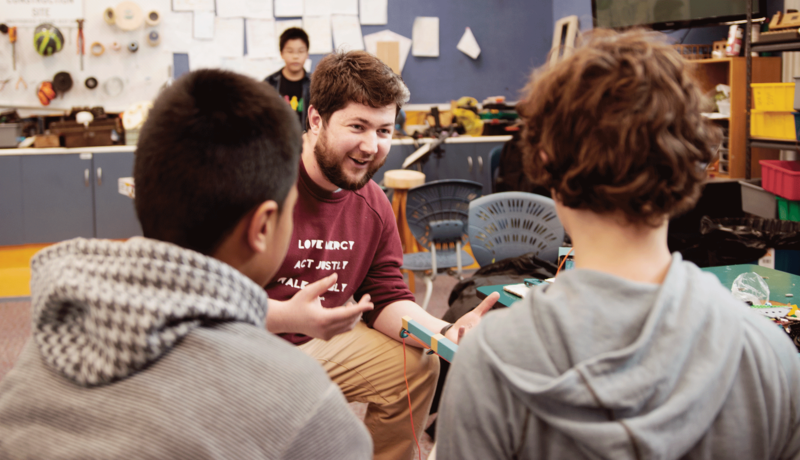 When Ako visited, students frequently brought up the need to be able to work with others and prepare themselves for the real world, where teachers aren’t always on hand to supply an answer. 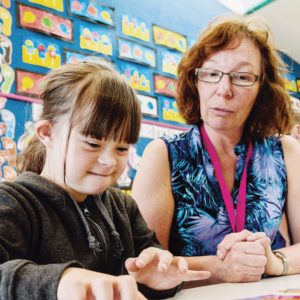 One of the most important things for children with additional needs to be able to access the curricula and to thrive at school is having huge support behind them. That includes from the school and whānau communities and from school leaders, support staff, teachers and itinerant staff. 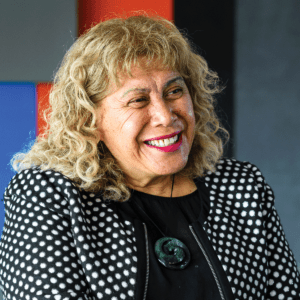 Kura in the Manawatū and Horowhenua are shining examples of inclusivity, in a context of some hope that more resources are coming to support culturally competent practices everywhere. Robert Martin has become the public face of why a human rights take on inclusive education is needed. 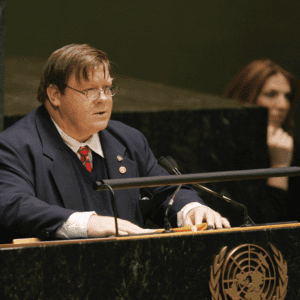 Born with a brain injury that made his early life difficult, he now travels the world asking hard questions of governments about their efforts to comply with the United Nations Convention on the Rights of People with Disabilities. 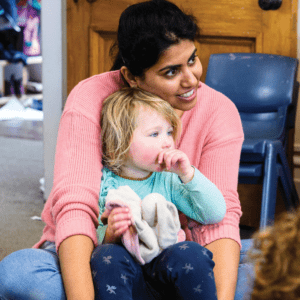 Inclusivity in ECE is increasingly seen as an opportunity to improve teaching practices and engage children’s learning.